My inner kid explains character change. Today’s lesson: Why character change makes a story worth reading. Months ago I read a book where, frankly, the main character was a precocious, spoiled brat. I hated her but continued reading because I expected her to change – encounter some hard knocks, setbacks and meaningful life experiences that would transform her in the end. After all, a story’s purpose is to dramatize a life-changing moment. Whatever happens it should affect the characters for the rest of their totally-made-up-but-true-to-the-reader lives! So when this character remained a brat to the very last page, I was super disappointed. But why? It wasn’t because I disliked her. I’ve enjoyed many stories with unlikeable protagonists, some who started out that way, and some who ended up that way. The difference is all went through some kind of change. What is it about “character change” that makes a story more satisfying? It comes down to two things: 1) Affect, and 2) Meaning. No one writes about the office worker who goes to work day in and day out and… that’s it. That’s not a story. Something has to change for there to be a story, and that change must affect the character. For example, in the book I read, people are being murdered and the main character is helping with the investigation, yet she seems wholly unaffected – she continues to be more preoccupied with the social scene than the murders. Sure, she claims to be “worried” and “scared” there’s a murderer loose, but those declarations are unconvincing because her behavior hasn’t changed. At this point I was annoyed, but I kept reading because I thought surely, by the end of this book, these gruesome murders will change her! After all, if the character is not affected by the events of the story, what’s the point of the telling it? Why would readers care? The short answer is: they won’t. The long answer leads to a discussion of humanity’s obsession with finding meaning in our lives. We humans search for meaning everywhere – in coincidences, in tragedies, in love, in death, and especially in stories. Which is why when a character goes on a journey and comes out the other side unaffected, we feel let down. We want to see them overcome their faults and change! Or, on the flip side, succumb to their flaws and self-destruct. We don’t want to believe that the experience meant nothing and affected no one. Of course, there are exceptions to everything. Especially in such genres as mystery and action-thriller, character change isn’t always present. However, as our culture’s storytelling chops evolve, so do the audience’s expectations. More and more they want to see character growth, not just a solved mystery or thwarted bad guys. The classic example of an unchanging character is James Bond (movie version), but in the most recent film (“Skyfall”) the writers gave Bond an emotional issue to overcome that forced him to be a different man by the end of the film. Audiences still got all the excitement and mystery of a Bond movie, but with the extra bonus of seeing a more human side of Bond, a side searching for meaning, a side the average person can relate to. Unlike the girl in that book who was all, “Oh yeah, murders are happening, and sure, I’m scared, but really I just want to go to this party and show off my pretty dress and maybe meet a boy who tells me I’m pretty. What? Am I supposed to care about those dead people?” Ugh. By the end of the book I just wanted the murderer to kill her. Probably not the reaction the author wanted me to have. Simply put, the elements of Character Change (Affect + Meaning) lead to a Human Connection with the reader. We all want readers to connect with our characters, so next week’s lesson is about how to make sure you, the writer, pull off this character change. It’s not easy. We’ve all read books that tried, but fell flat. I’ll teach you how to not make the same mistakes. 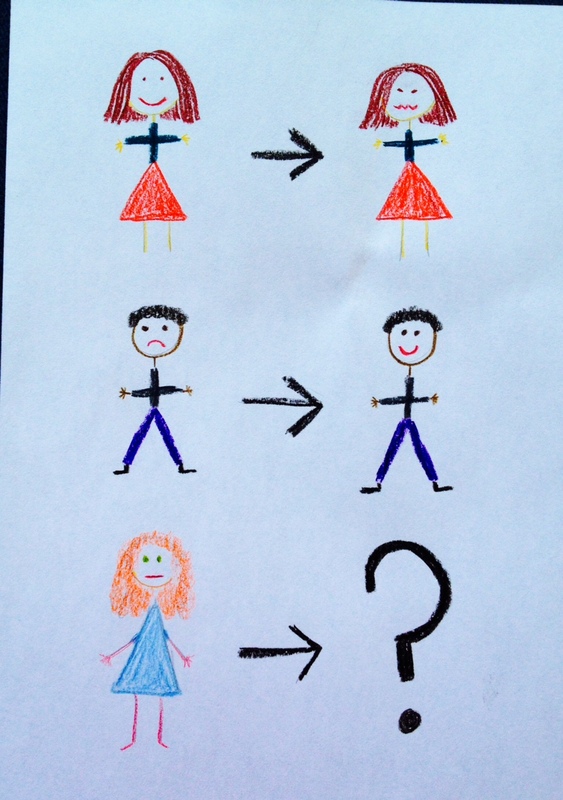 Next Up from Heather… Character Change Part 2: It can’t come out of nowhere! I’ll write about how to set up this important story element. Click here for more posts from Heather. In most stories, there is usually some form of change otherwise… Like you said, kinda boring. Yep, there are exceptions, but more often than not the stories that resonate with most of us have characters who change. Thanks for the comment, Sarah! I agree. I read a lot of mystery series and the difference between the ones I come back to, book after book, and those where one book is enough, is whether or not the main character is affected by the things that happen.